Many of you will know that I have been on a bit of a ginger mission recently. From having virtually black hair, I decided that enough was enough, I will return to my ginger roots and may the consequences follow. For anyone who’s vaguely interested, I lightened my hair using a few rounds of bleach and Loreal Feria Mango Intense Copper. But what I really wanted was to go a peachy pastel shade because I had nothing better to do. 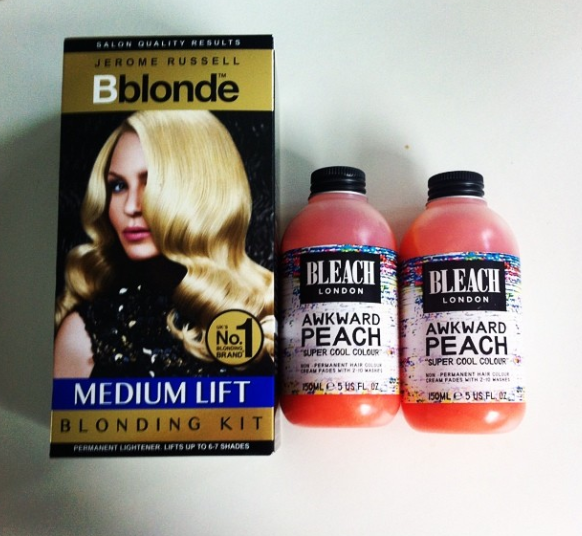 After a spontaneous (and dangerous) trip to Boots during our lunch hour, I invested in another box of bleach and a couple of bottles of Bleach London’s Awkward Beach semi-permanent dye. I’ve heard and read good things from other bloggers, and Claire’s a fan of Bleach London too, so I was MEGA keen to give them a whirl. It’s also 3-for-2 on all hair products in Boots at the moment – rude not to, right? For those of you who don’t know a lot about Bleach London, it’s a brand that started out as a hair salon (you can still book yourself an appointment if you so wish) but they now offer lots and lots of exciting products too. They’re soooooper cool and specialise in pretty colours and bleachy stuff for us girls who enjoy looking like colourful idiots. You can shop their whole product range here – I’m mega keen to give their hair care products a whirl too, they look AWESOME. Anywho, I chose the Awkward Peach colour because it looked perfect for my peachy needs. Because my hair was already pretty ginger, I lightened it a little bit more with Jerome Russel’s medium lift bleach so it was a more blondey-ginger in the hope the colour would take better. They recommend using rubber gloves to apply the Awkward Peach colour. Unfortunately, I didn’t have anything besides a pair of Marigolds. So you know. I used them anyway, and only looked slightly like a raging fool. While they also said to leave the colour on for 15 minutes, I decided to leave it only for half an hour because I find that the longer you leave these things on the better. And here was my result! From the pictures I’ve seen of other before and after pics, I’ve noticed that the colour can be a little pinky. I didn’t really want a pink tone, but thankfully that didn’t really happen to me. 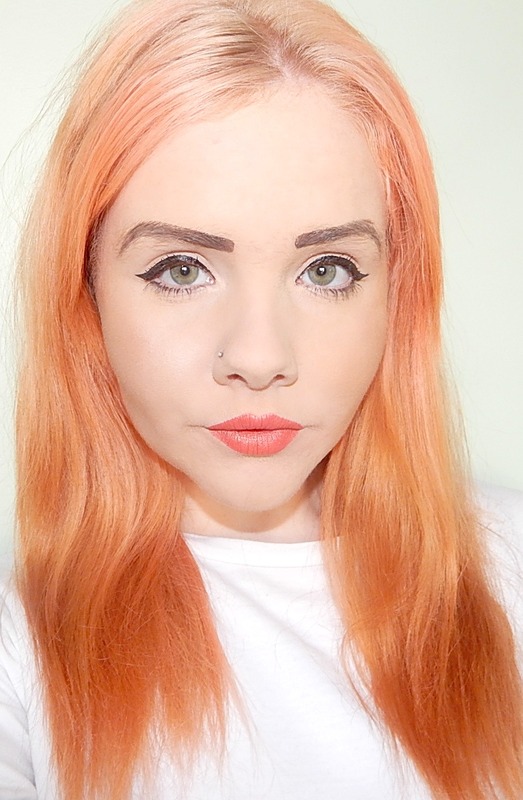 This was partly because I already had ginger tones in my hair, so it just added a bit more of a pastel orange colour. I’m really pleased with it – I feel like it brightens my colour up a lot more and helps me on my way to somewhat fierce. 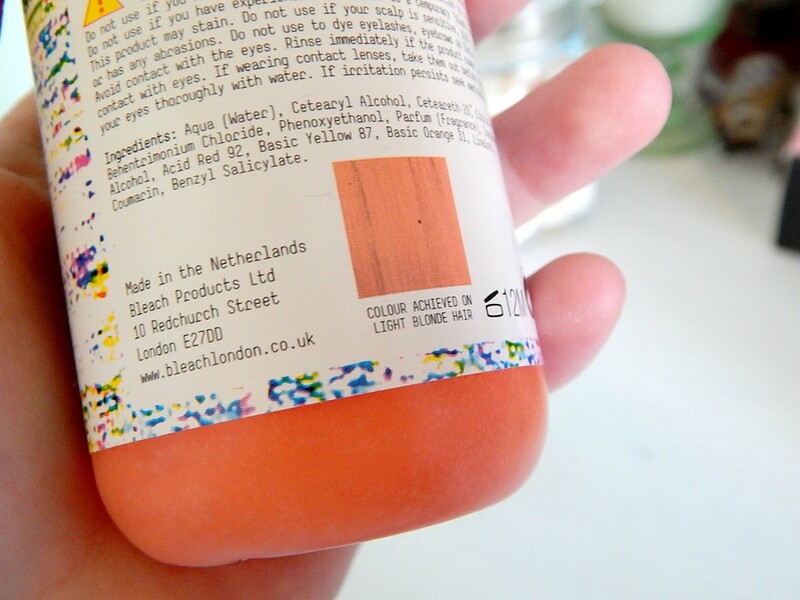 The colour is only meant to last 2-10 washes, so I’m not expecting it to be that long lasting. For £5 a bottle, these are a little pricey to be using couple of weeks but if I can’t find anything that gives the same colour, I’m definitely going to be popping this on my head regularly! My only beef, that isn’t really beef at all, is that it’s a bit uneven. 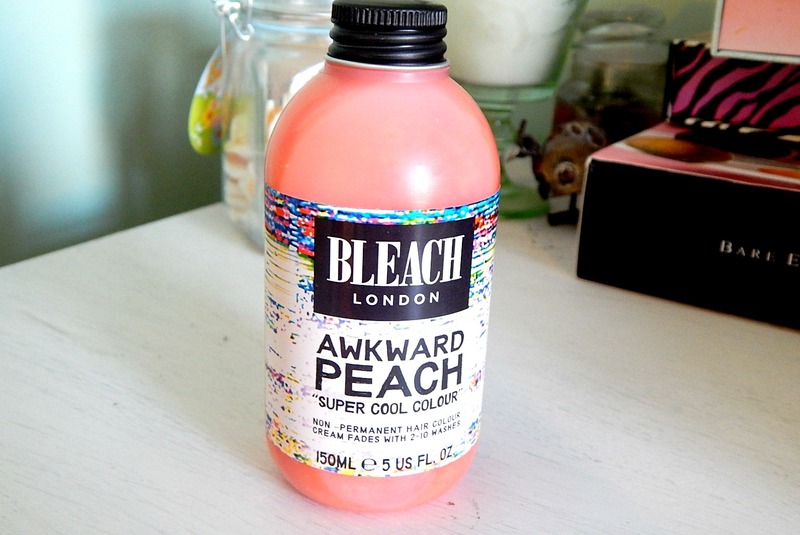 But that is not Bleach London’s fault, it is mine for being lazy when I bleached my hair. What do you think? 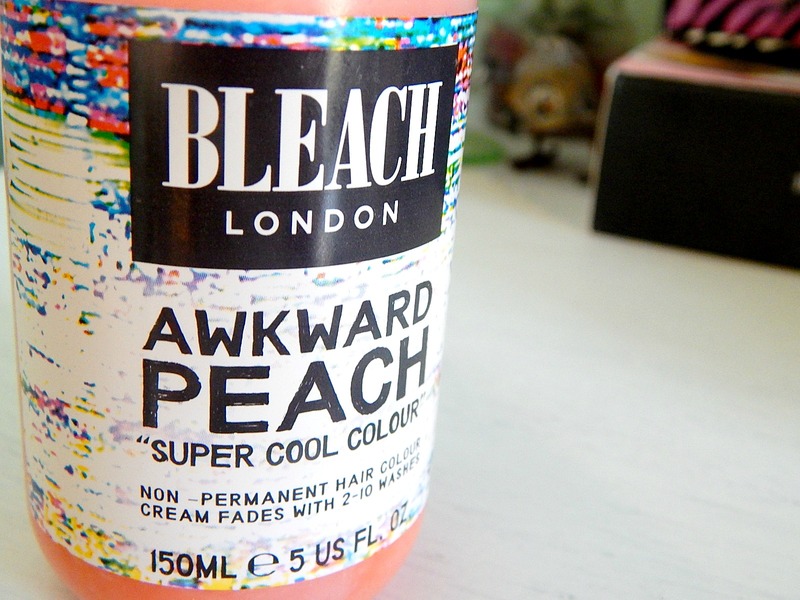 Have you used Bleach London’s Awkward Peach hair dye before? Share in the comments below! Wow you look amaaaazing! This is so pretty! I wish I wasn’t scared to bleach my whole head and go for a bluey lilac colour! I totally am obsessed with awkward peach! I was wondering if you know how I could apply it with out it being so peachy. I kind of want it lighter and I looked on websites and it said to use the washing out toner. What do you recommend? Hey! Love the colour need to do this to my hair!! 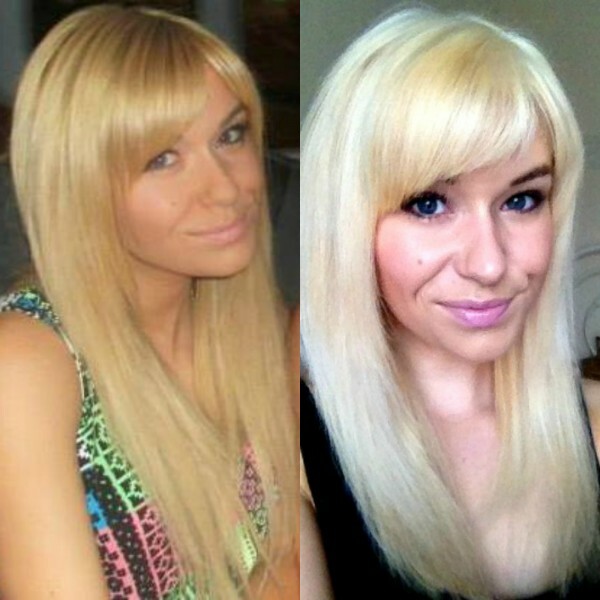 Is your “before” picture after you had used the lightening kit?? 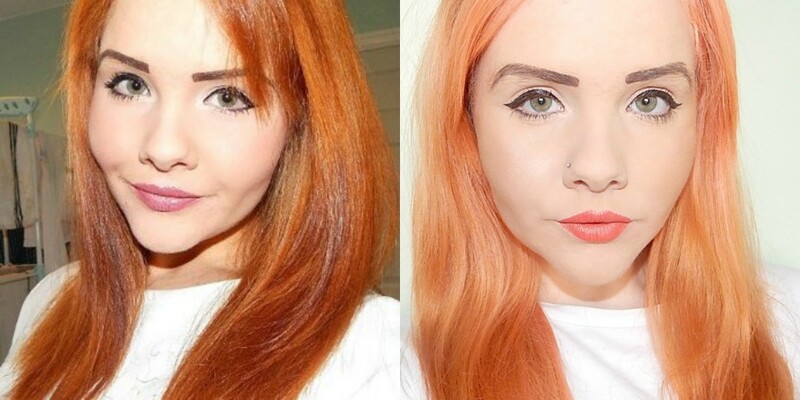 Not sure if I should lighten mine before hand as im ginger already ? ?